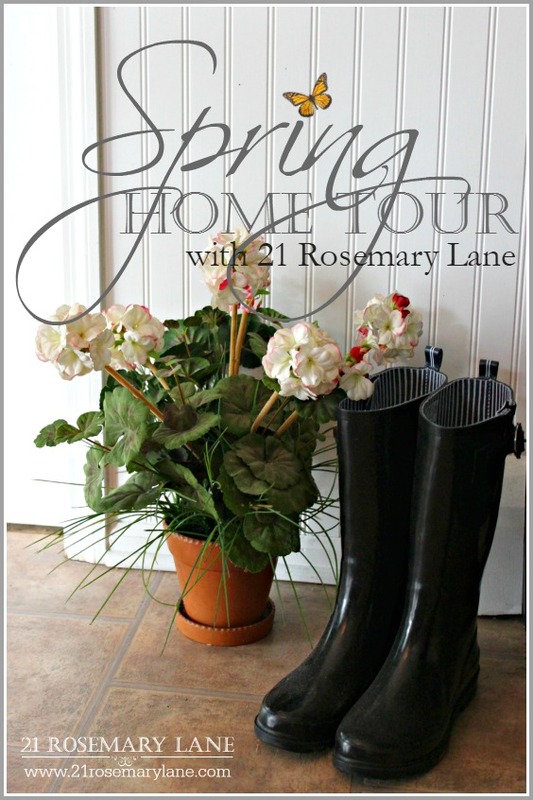 this year I thought it would be fun to take a look back and count down to number one, 21 Rosemary Lane's top ten posts. 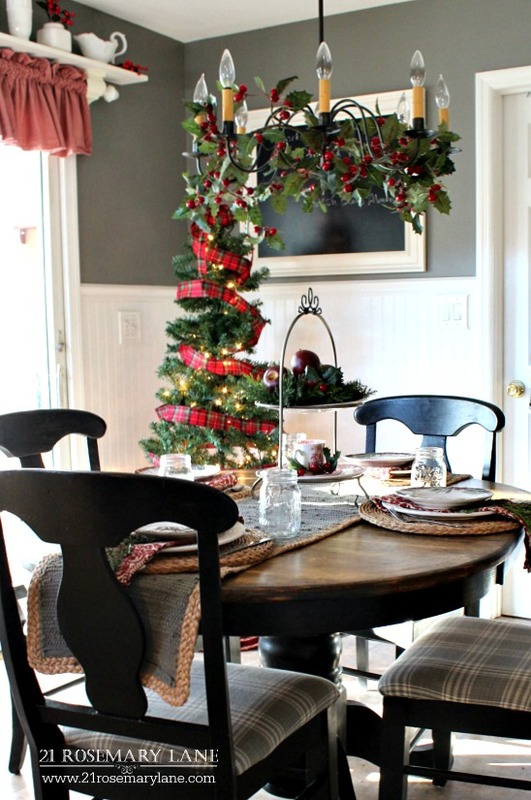 At the end of 2015 Mr. Rosemary Lane added white bead board to the kitchen walls and I painted the space above the bead board in Benjamin Moore's Chelsea Gray. 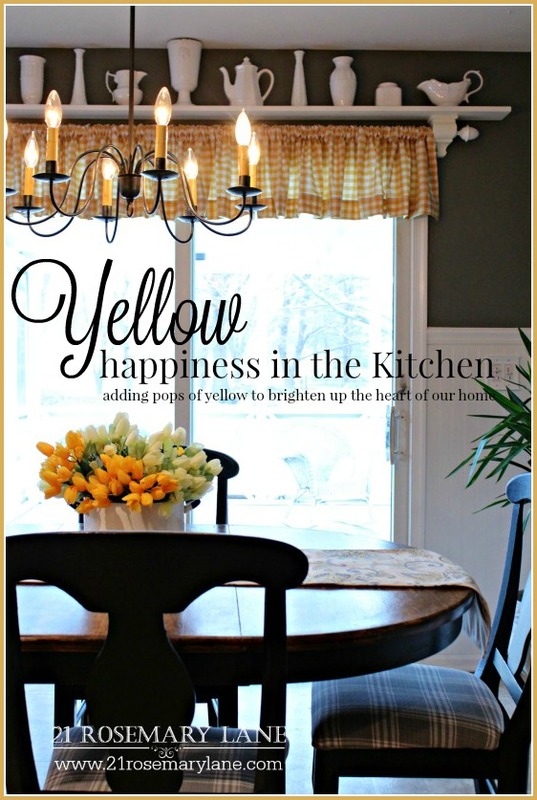 But once spring rolled around I wanted to lighten up the kitchen by adding pretty pops of yellow. This year I purchased new drapes for our back porch but was in a bit of a conundrum of just how to hang them. 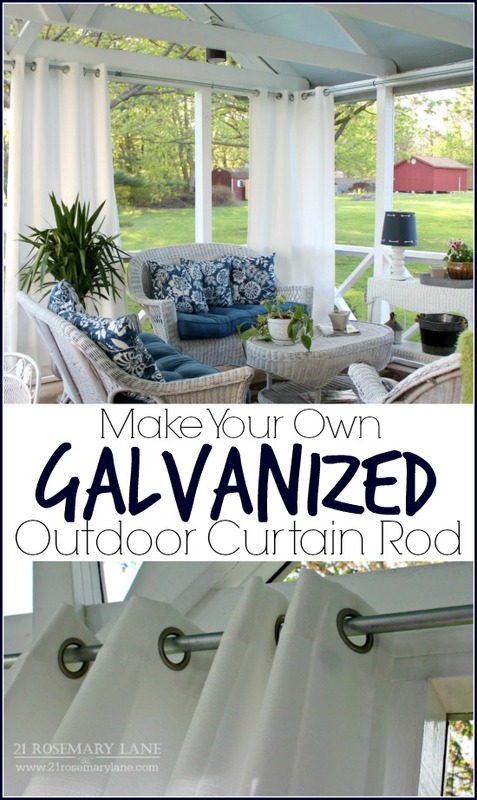 Then while perusing the internet I fell in love with the idea of using galvanized electrical piping and conduits to create a rod system. 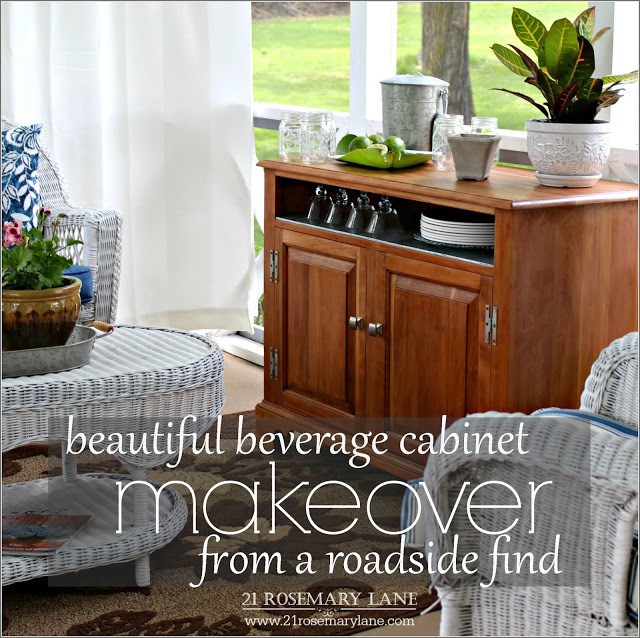 Last March I found this solid wood cabinet on the side of the road. It was pretty beat up but after sanding it down I found the most beautiful wood underneath its dark stain. I decided to use the cabinet on our back porch to hold beverage glasses, bottles of seltzer and outdoor dishware. 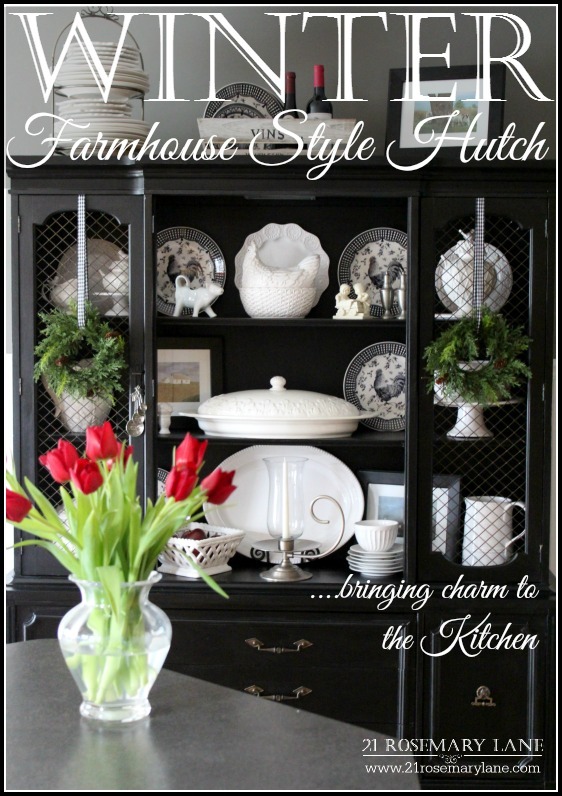 In the kitchen our newly painted hutch purchased from ReStore for only $40, took on a winter look using white ironstone and pretty rooster plates in black and white. 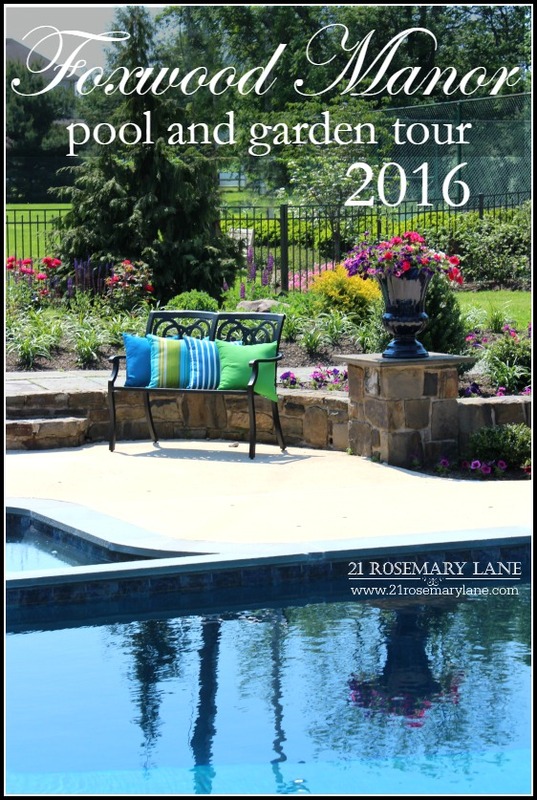 This gorgeous Designer House I visited back in May is part of an annual fundraiser in Bucks County, Pa. Click here to see the home selected for the 2017 Designer House. 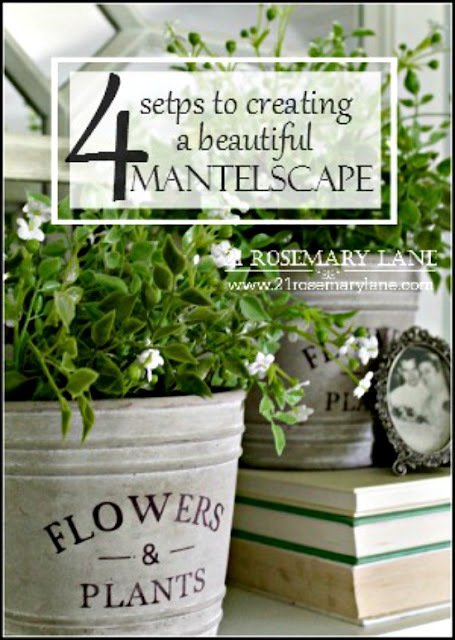 A surprise to me that at the halfway point is the tutorial I wrote on how to create a pleasing to the eye mantelscape in only 4 easy steps.. The next 3 most popular posts are part of a seasonal home tours series put together by my sweet friend Marty from the blog A Stroll Thru Life. First up is my Spring Tour of 2016. Followed by the Summer Tour 2016. 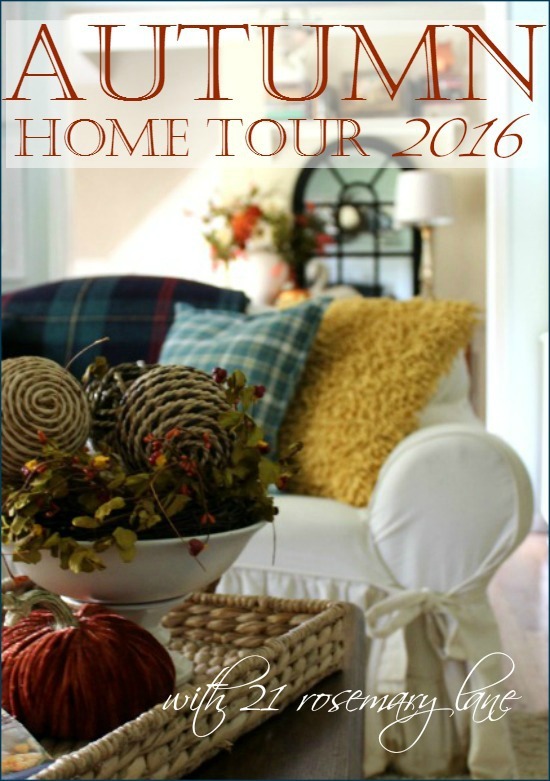 And finally my Autumn Home Tour. 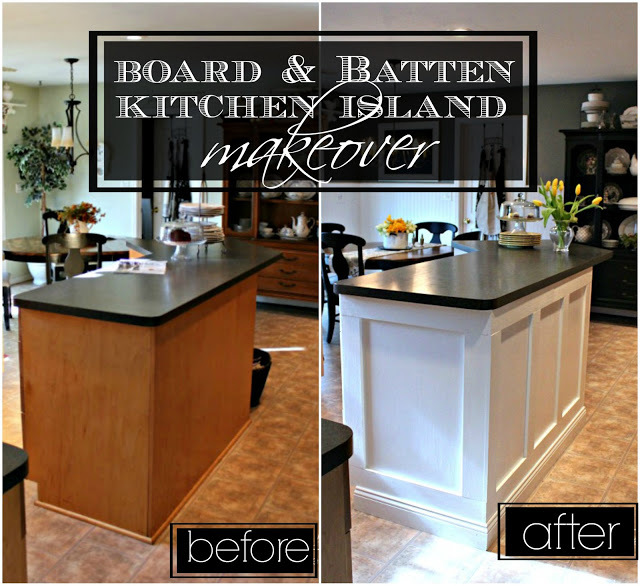 And finally the most viewed post of 2016 is actually my absolute favorite project of the year...Mr. Rosemary Lane's Kitchen Island transformation. Quite the year in review I'd say. 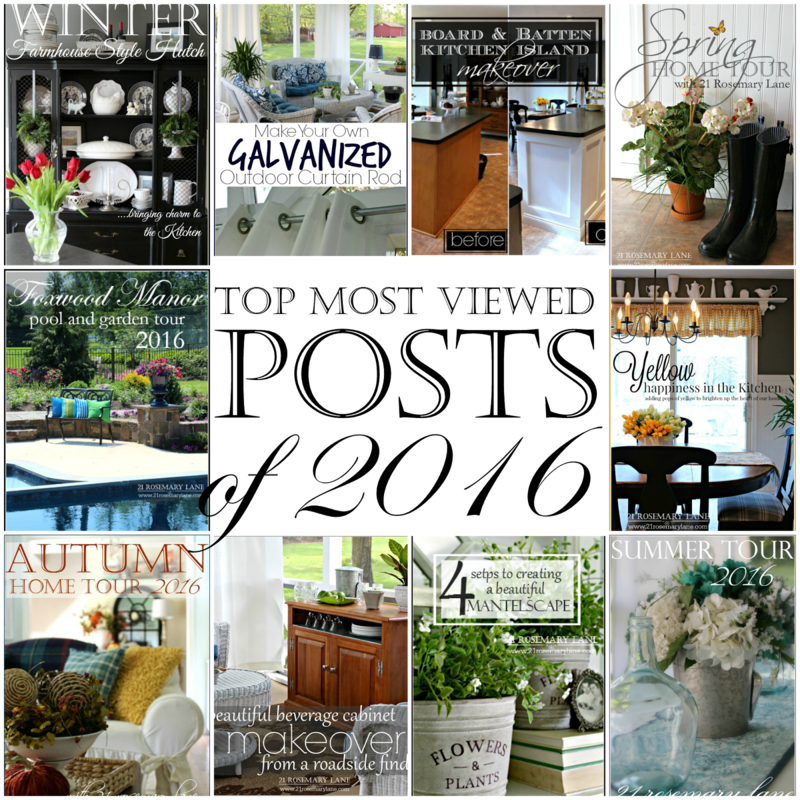 Looking forward to another year of great projects, wonderful tours and trips, and different ways of beautifying our home. How about you...what are planning for 2017??? 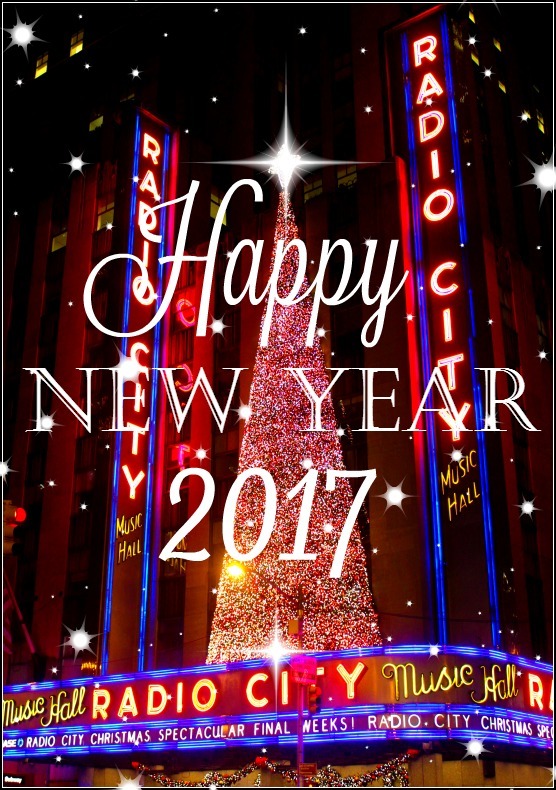 Wishing you all much happiness and health in the New Year! 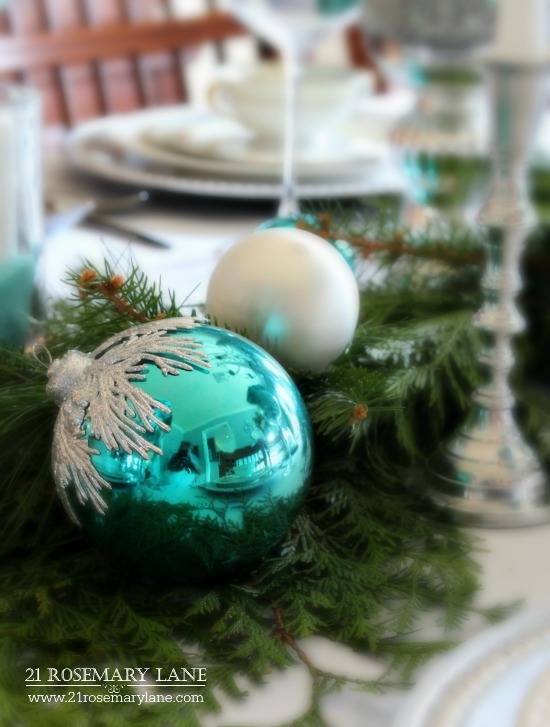 How are you all doing finishing up getting ready for the holidays? 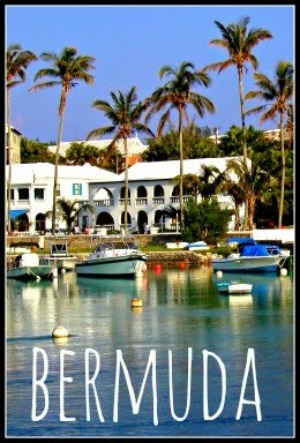 It's hard to believe that it will be here in just a few days now! 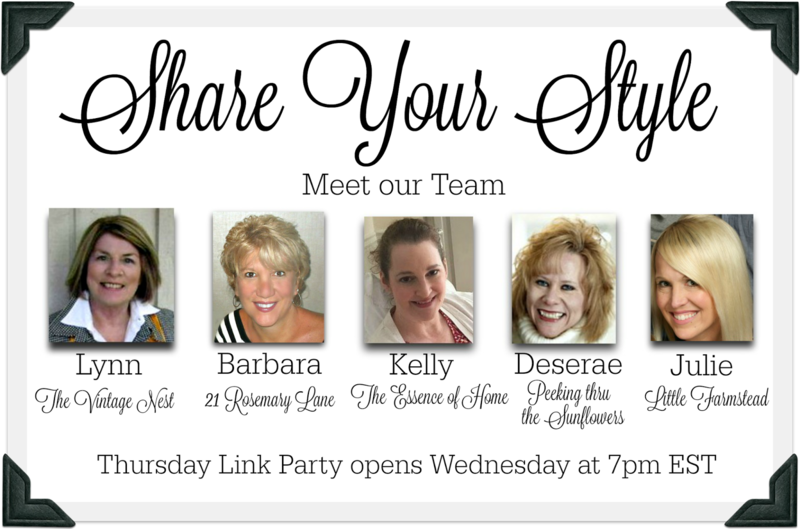 I'm so glad that you found the time to join us again for another weekly Share Your Style party. 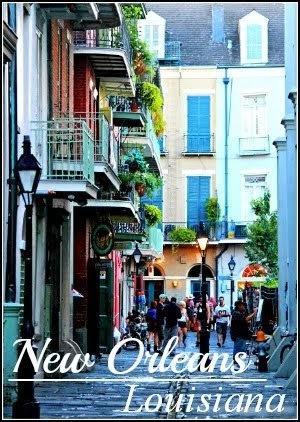 I'm Kelly from The Essence of Home and I will be your host this week. 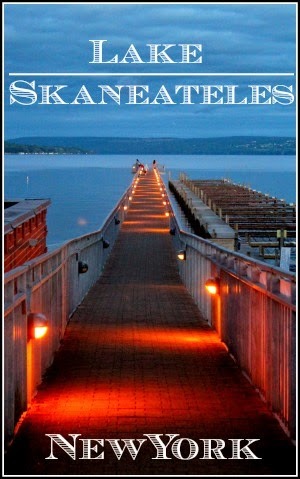 When you link up with this party your post will appear on all 5 of these blogs! 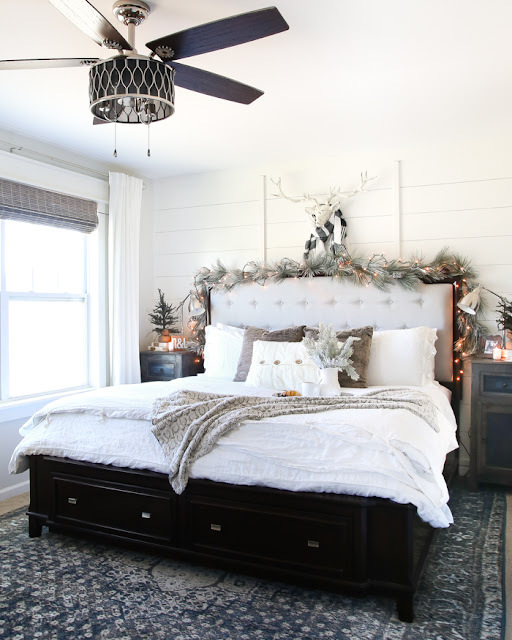 Bless'er House blew me away with her beautiful white Christmas bedrooms tour! I love to use white at Christmas (and year round) so I fell in love with the rooms that she shared. So pretty! 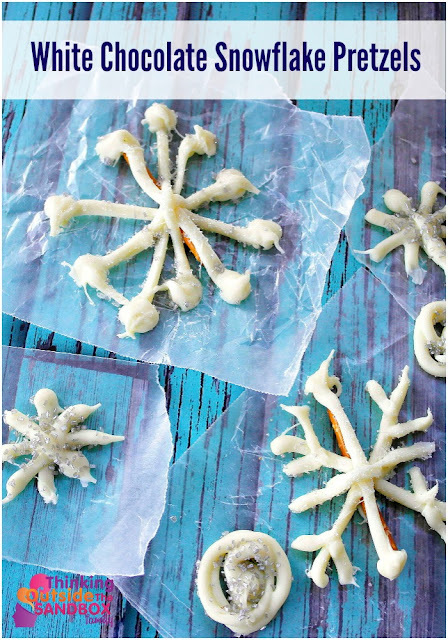 Thinking Outside the Sandbox shared a cute and easy recipe for white chocolate snowflake pretzels. 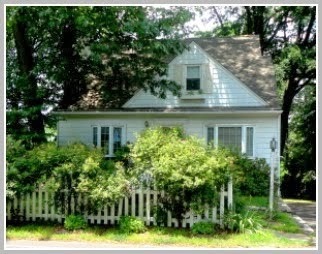 Hmmmm.........more white. I guess I'm on a theme here. I love anything that's easy and this fits the bill. They would be fun to serve at a party. 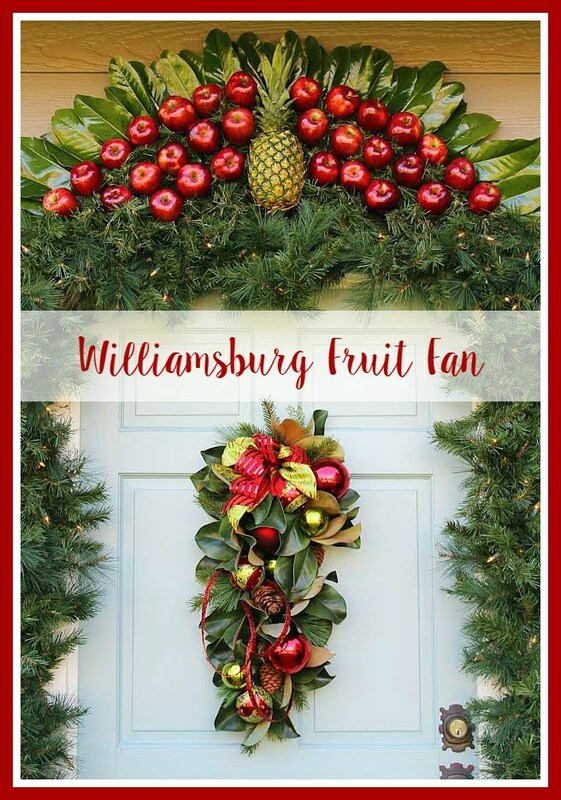 Everyday Living shared a Williamsburg fruit fan tutorial for the holidays. It is so pretty and if you live in a cold climate, it should last a while. I always wondered how these were made. Now I know! Get Busy Gardening gave a step by step guide to winter sowing. 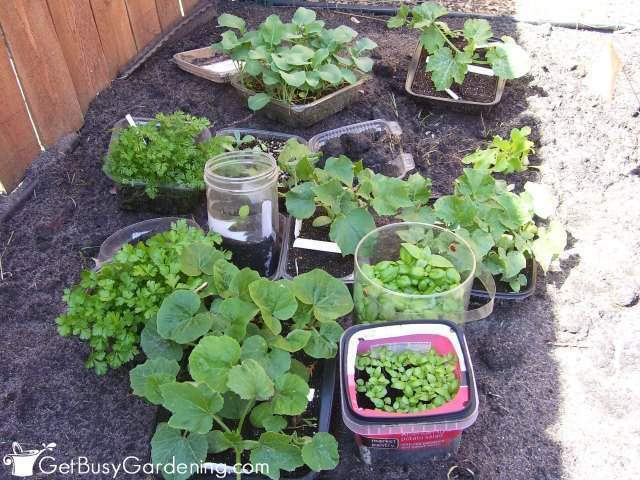 I love the idea of trying to grow vegetables in their own mini greenhouse during the winter. This would be a great thing to do with your kids as well! 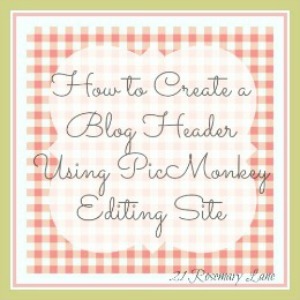 If you were featured, please grab this button and add it to your blog side bar! Now, it's your turn. Please provide a link back to this post on your post. 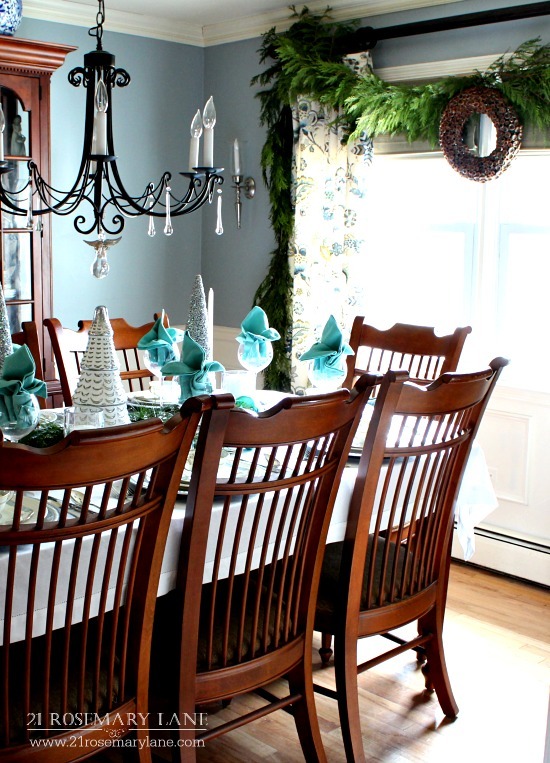 Last Friday I shared with you our dining room all set for Christmas eve. 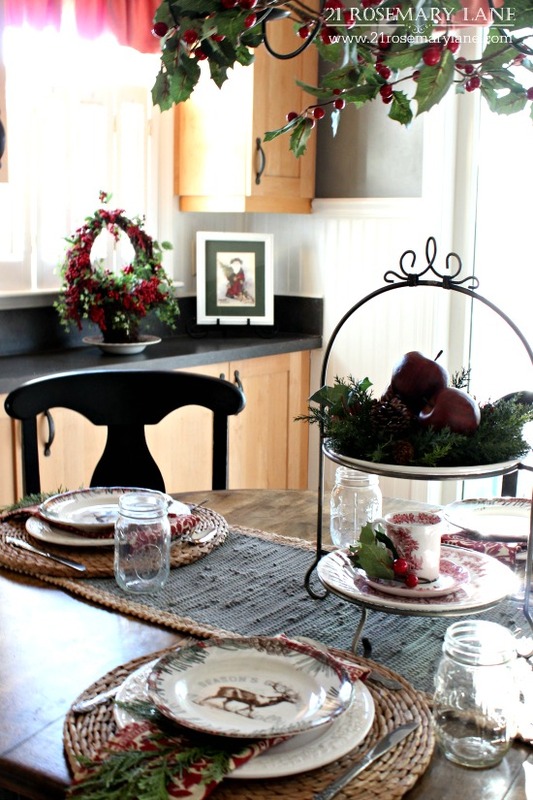 (To see my dining room table click here.) 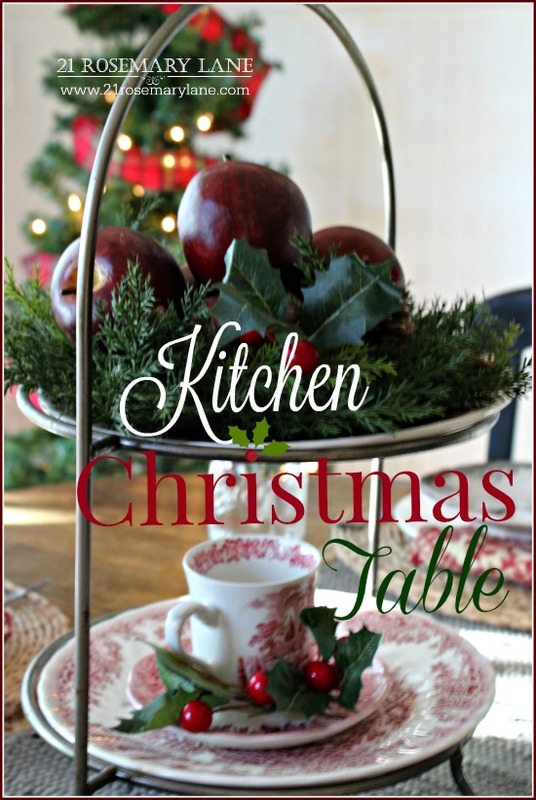 Well today I am going to invite you to our kitchen table all ready for a Christmas brunch. 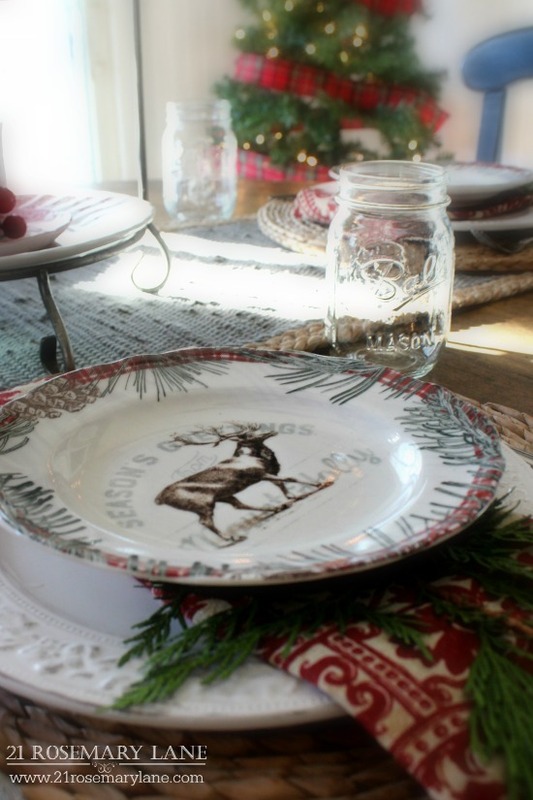 The inspiration for my table came from these pretty reindeer plates and very textured gray runner I found at Home Goods this year. 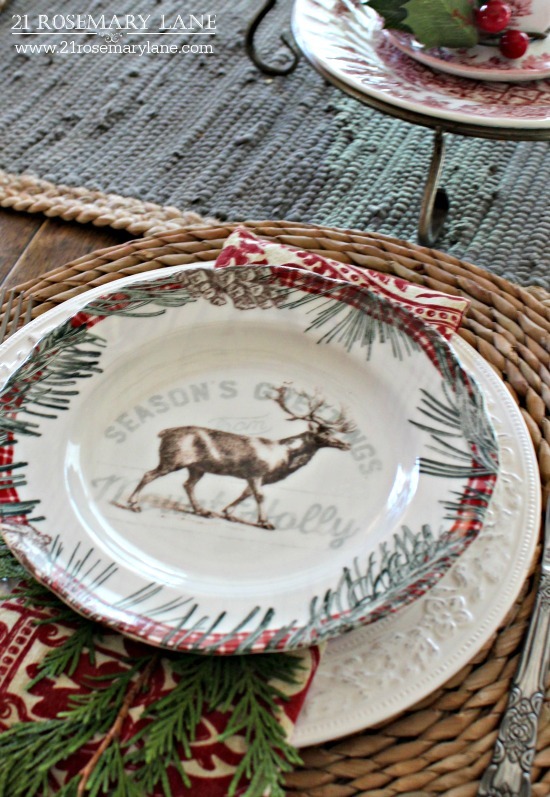 Since I love the look of green and red mixed in with the classic gray, I tucked a sprig of arborvitae under the each plate and on top of my red and white Pottery Barn napkin. 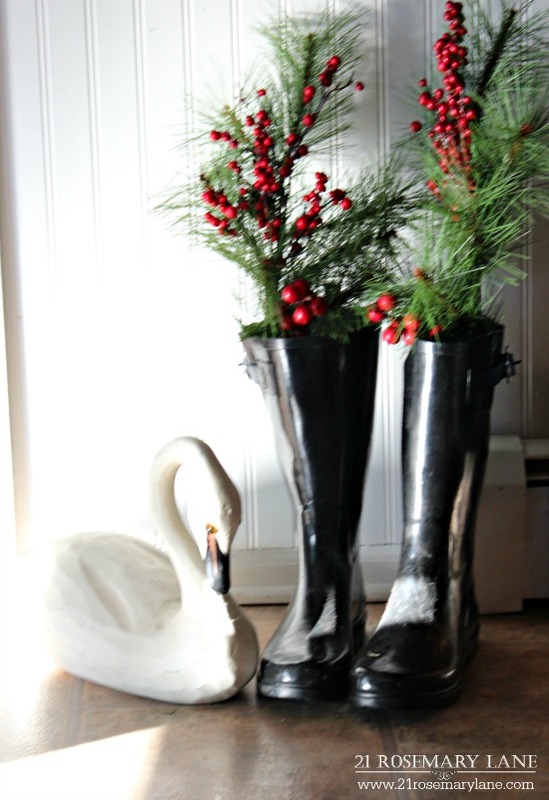 My rubber all-weather boots serve as vessels for some faux sprigs of pine with berries. This adds a little more color to my kitchen. 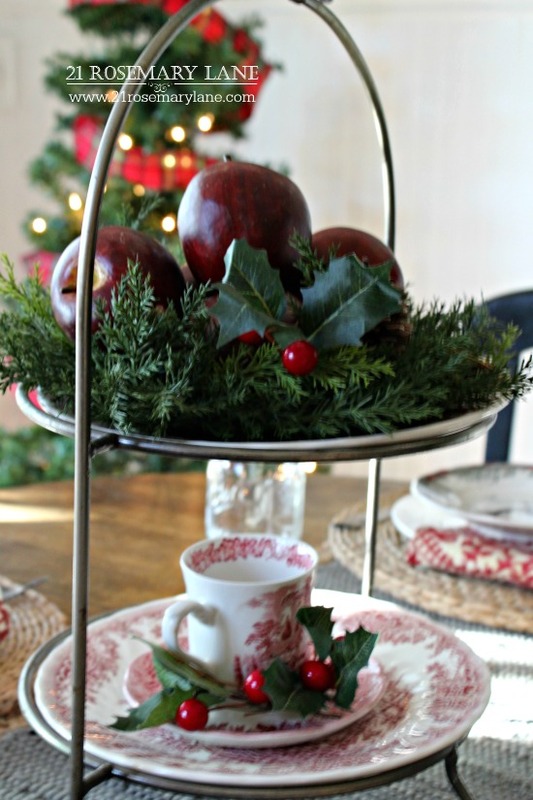 The center piece is a plate stand I found years ago...honestly I have forgotten just where I purchased it, but I will tell you is comes in handy when we have large gatherings. 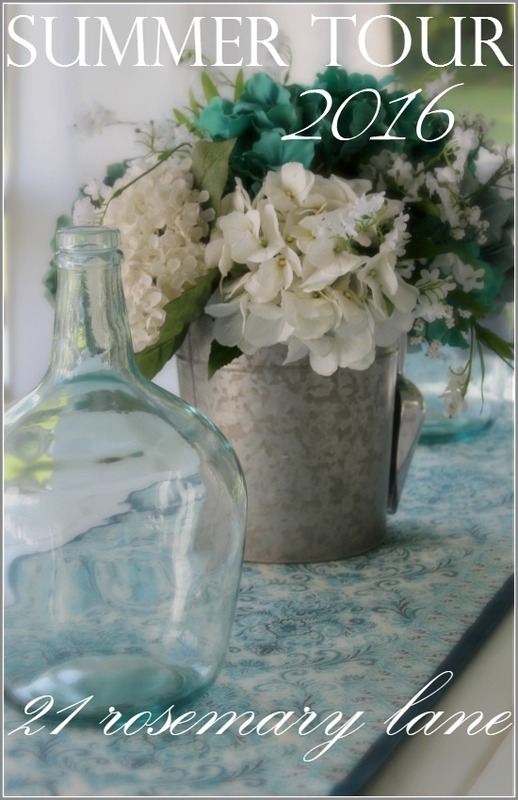 Mason jars serve as our everyday glassware. I love them because they are inexpensive and always replaceable. 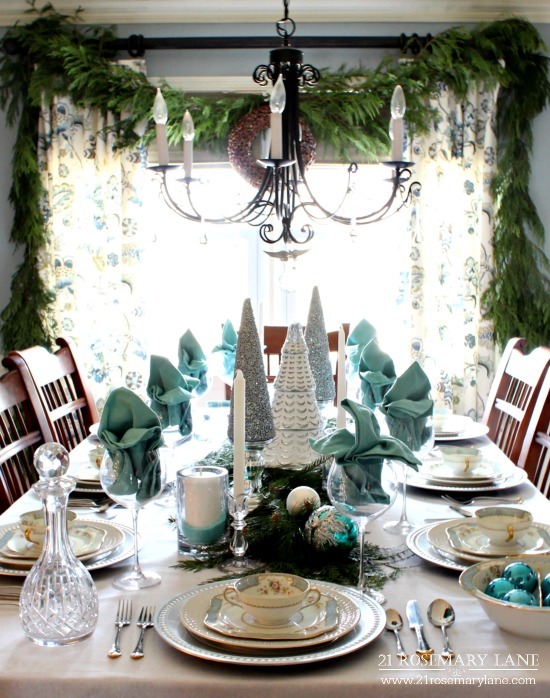 Some holly garland is tossed on to the chandelier and voila...table is festive and ready to enjoy during this holiday season! 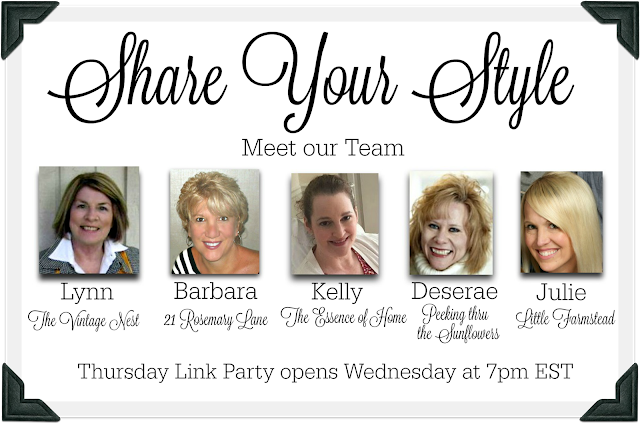 Wishing you all a wonderful week and please don't forget to stop by tomorrow evening for another inspiring Share Your Style link party!!! 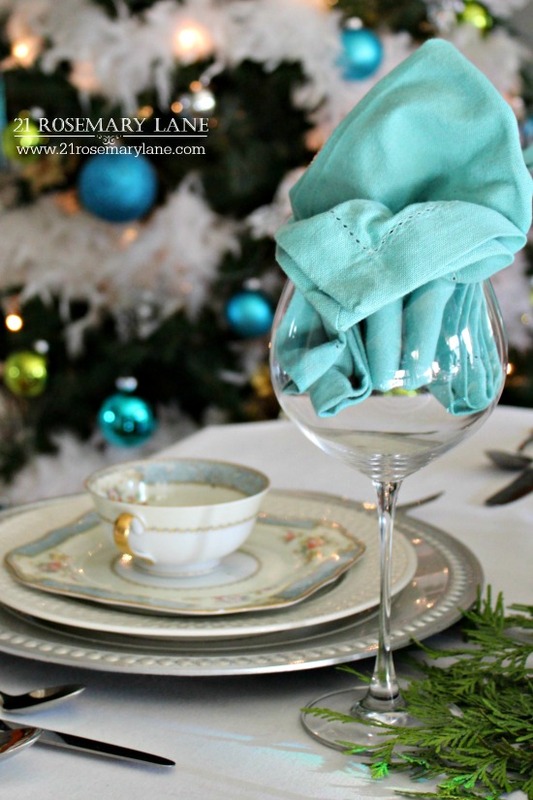 Each year I really like to switch up my table setting for Christmas eve. 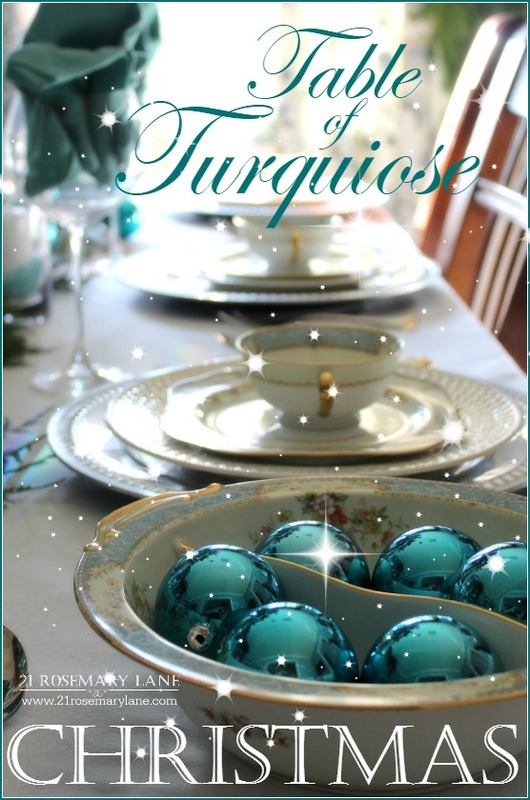 This year I was inspired by a photo in the Christmas issue of The Cottage Journal of a dining table featuring surprise pops of turquoise. 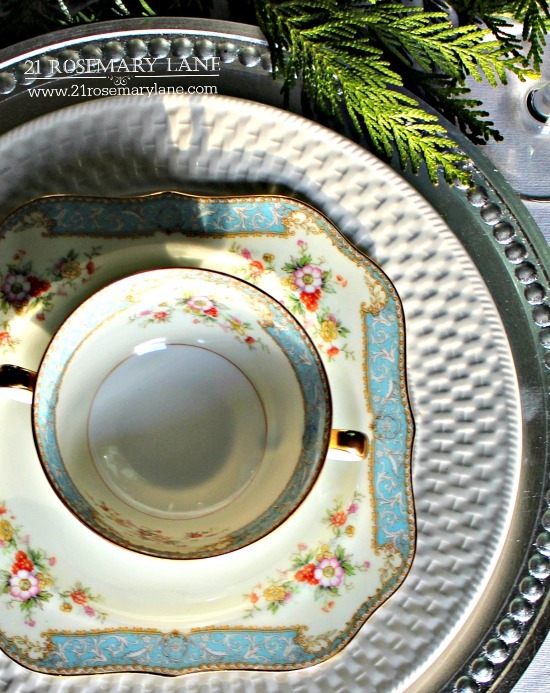 You see I have a pretty set of Noritake china my mother gave me when my parents downsized last year to move back north. The pattern is called Blue Dawn and, from what I've read, this particular pattern was only produced between the years of 1947 to 1951. A pretty short run for a china pattern. 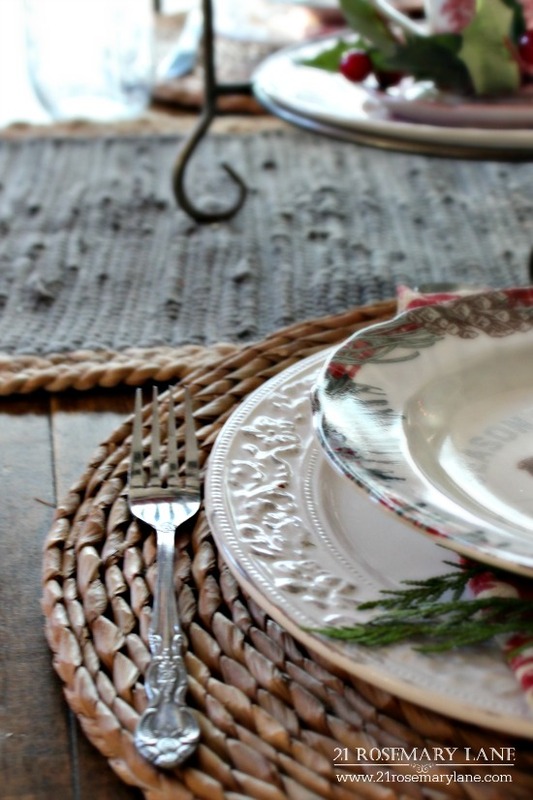 I love the delicate flower print and the pretty squared salad plate. My mom acquired the set from a neighbor's family some years ago when our neighbor passed away. For the big window I made a large garland of arborvitae and then draped it over the curtain rod. Next I made a runner for the table of both arborvitae and white pine. Both the garland and runner were treated to help keep them fresh. To see how to make your own no wilt garland of fresh greens, just click here. I paired the china salad plate and 2 handles soup bowl with my white dishes. I like the added texture of the white dishes. 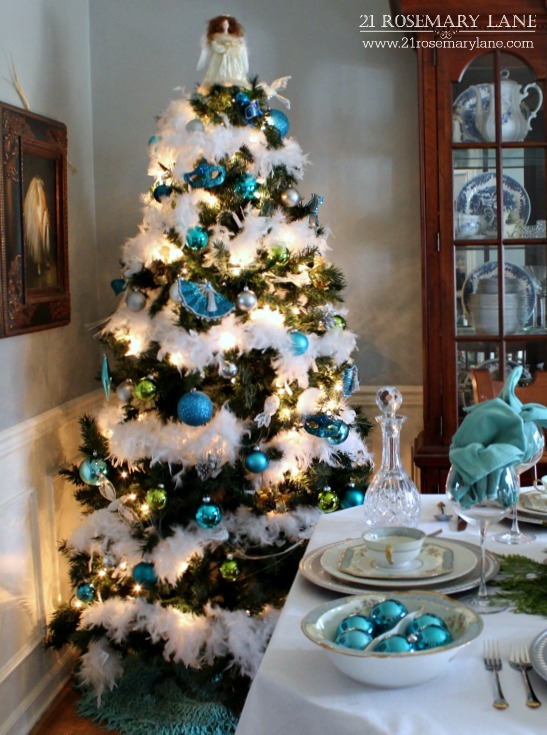 I just couldn't resist putting up a coordinating tree in the dining room. 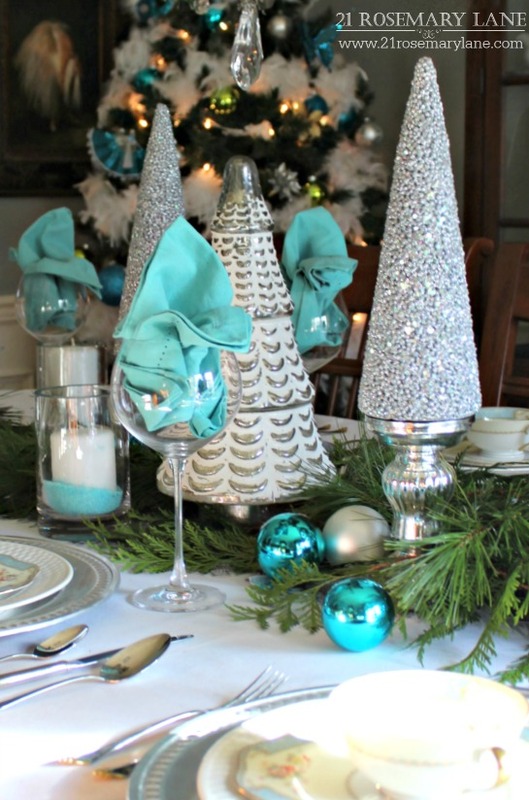 More silver trees are lined up on the table. 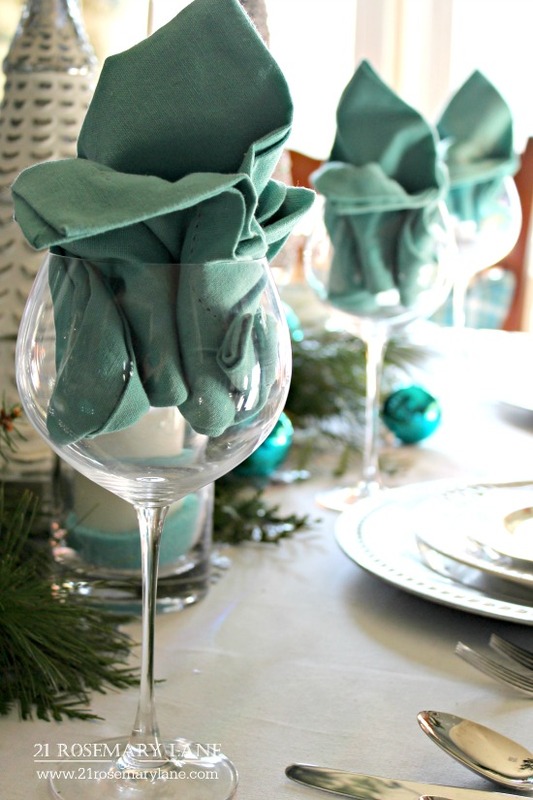 Turquoise napkins (I was lucky enough to find this time of year at Kohls) in a tulip style fold are tucked into each wine glass. 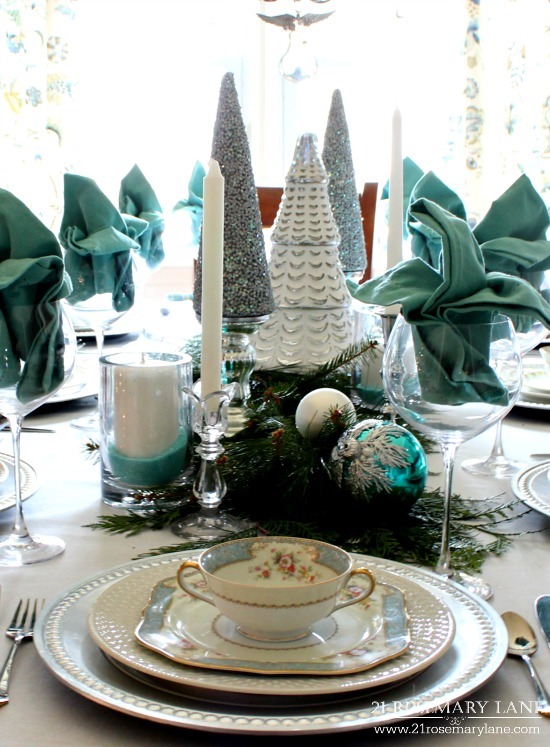 Is your dining room ready for Christmas? 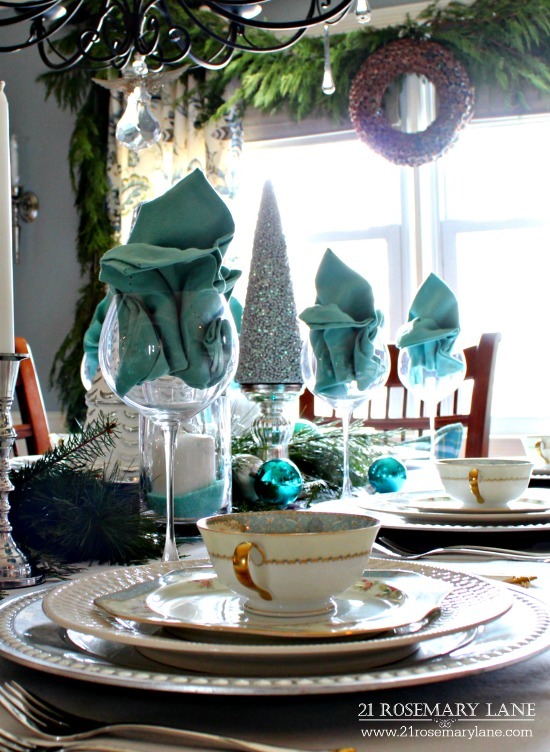 What special touches do you incorporate in to your holiday dining room? Would love for you to share! So happy you've joined us, this December day, to exchange ideas on home decor, holiday decor, recipes, DIY projects and all related inspiration. There were so many inspiring ideas last week, that it was difficult for me choose the features. But, I'm excited to share them with you today... So keep reading! 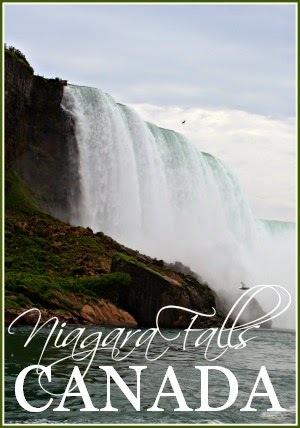 your post is seen on all five blogs below! And now for this week's features! 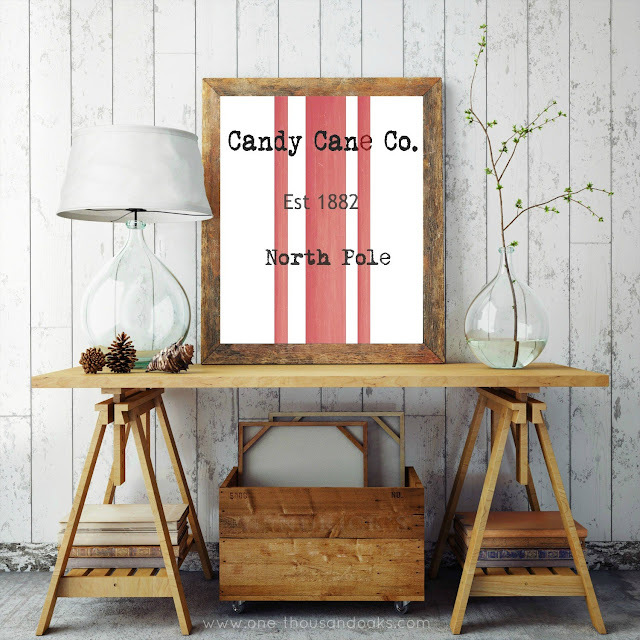 Have you gotten the free "Candy Cane Co." printable from One-Thousand Oaks? Love it! 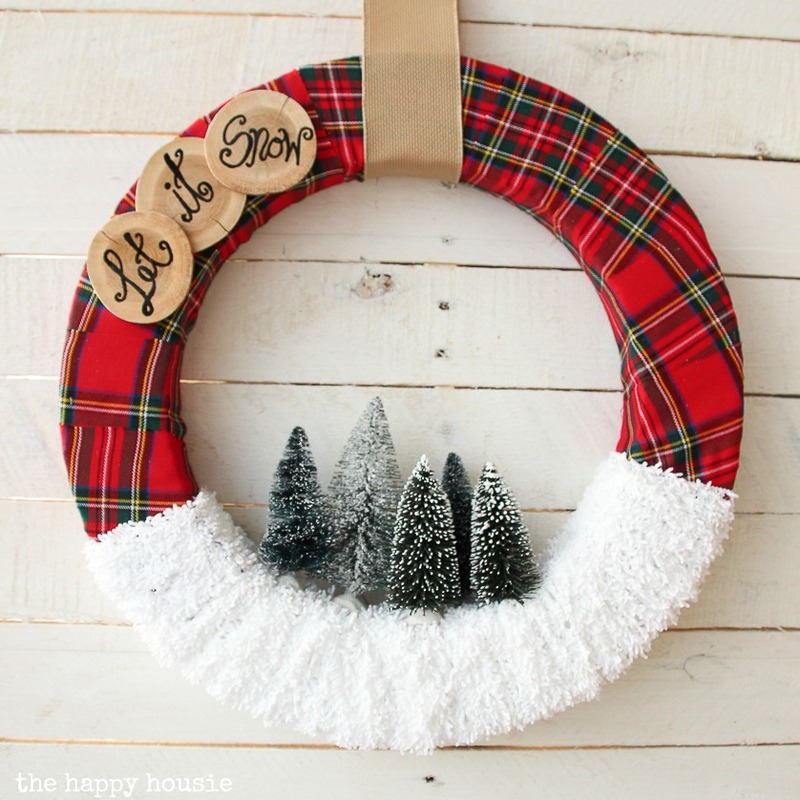 The Happy Housie shared how she made this adorable "Let It Snow" wreath. 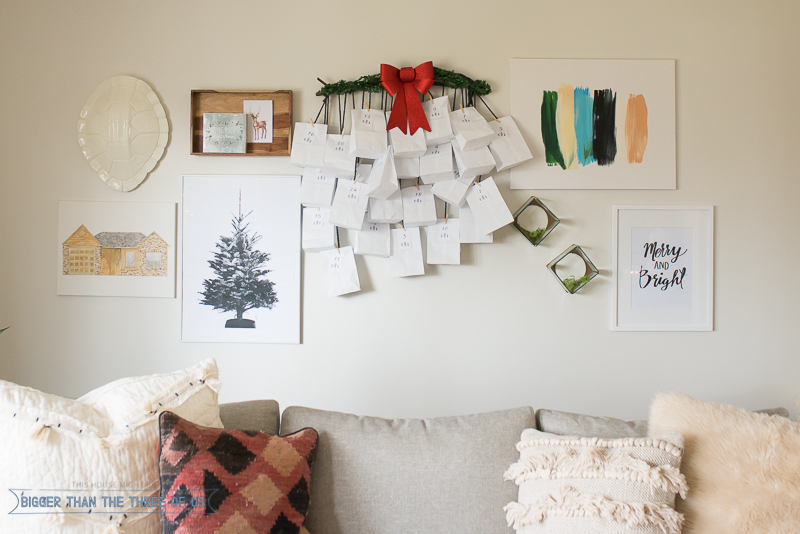 Bigger Than the Three of Us lets us tour her modern Christmas home. 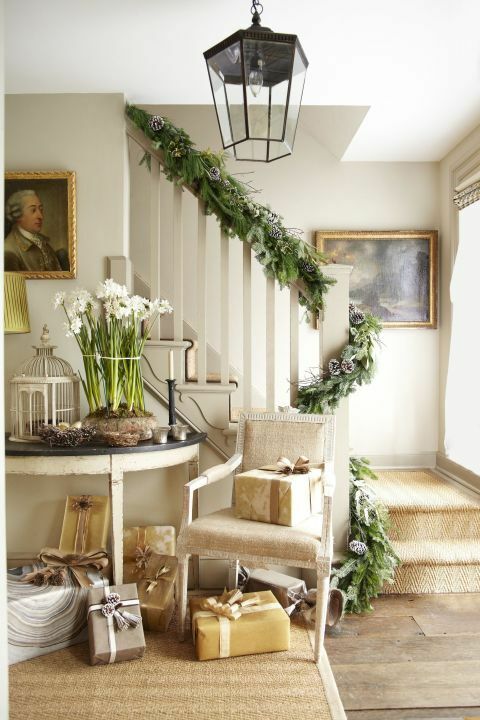 Airy, bright, and with room to breathe... I think it's beautiful. And now, onto the party! Please remember to include a link back to this party, and enjoy visiting a few other entries.